When will be Stone House Revival next episode air date? Is Stone House Revival renewed or cancelled? Where to countdown Stone House Revival air dates? 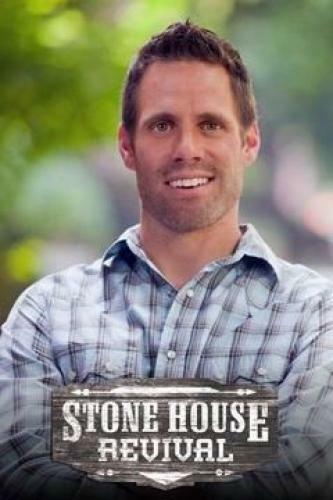 Is Stone House Revival worth watching? Jeff Devlin is the go-to guy when it comes to historic houses in and around Buck's County PA, where the structures are literally older than the country itself. In each episode of Stone House Revival, Jeff and his team of restoration experts work with homeowners to help revive these dilapidated structures into modern living spaces while preserving their historic integrity. Watch as he brings the amazing character of these old, rundown homes back to life! 1732 Kitchen Relocation. Jeff visits a couple at their 1732 home to address their unique wish to build a new kitchen in their living room. During the renovation, Jeff and the crew face a few bumps as they knock down a wall, relocate the plumbing and try to bring some history back into the space. Stone House Revival next episode air date provides TVMaze for you. EpisoDate.com is your TV show guide to Countdown Stone House Revival Episode Air Dates and to stay in touch with Stone House Revival next episode Air Date and your others favorite TV Shows. Add the shows you like to a "Watchlist" and let the site take it from there.